Ever need advice on school? How to deal with parents? Boys? 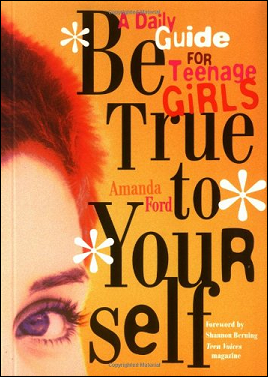 Be True to Yourself, by Amanda Ford, is a guide for teenage girls, with a new piece of advice for every day of the year. The topics are usually about the main issues a teen girl has to go through, such as boys, parents, peer pressure, and school. However, the book also gives you ways of getting to know yourself better and reminds you that looks and popularity aren't everything. This book helped me out a lot! I myself followed some of the author's advice. There are 366 tips on how to cope with any issues you might have, and I must have followed at least half of them. I loved the writing structure the author used. It makes the book feel more cozy and a lot nicer to read and made me feel like I was talking to someone I knew instead of reading a book. However, my only complaint is that I had to skip through a few pages because some of the topics were a little dull and didn't grab my interest much. Although the advice was helpful, some of the topics didn't keep me interested enough. But this is just my opinion. Maybe some of the subjects will interest other teen girls and keep them hooked throughout the whole book. Overall, I thought Ms. Ford's book was great, a helpful read with lots of tips for teen girls. 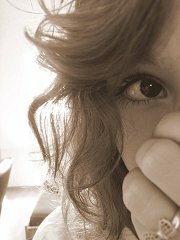 Only one or two little things I didn't like. I would give Be True to Yourself 4.5 stars (of a possible 5).